Kobo Kobo Hills is a rustic guest farm, situated halfway between Windhoek and the coast, on the edge of the Namib Desert. Accommodation is in thatched cottages with a swimming pool and lapa from which you can watch the game at the watering hole OR North-African style houses set amongst granite boulders. Both are beautifully camouflaged into the scenery. Breakfast and lunch is served under the lapa and can be enjoyed anywhere. Dinner is prepared on an open fire and served under the stars. Drinks are served throughout the day in our 300 degree bar or at the pool. Guests can sit back, relax and enjoy the tranquility of this ageless land, simply by floating in the pool all day, watching the birds or reading a good book. For the more adventurous, we offer hiking, abseiling, less strenuous walks and game drives. Other options are yoga retreats, team-building weekends, bird watching and photographic weekends. 8000 hectares of land are exclusively yours to explore as access to the camp is by prior arrangement only. We continue trying to set Kobo Kobo Hills and its neighbouring farms up as a conservancy. The peace and quiet and also the distance from civilisation makes for a perfect setting for any kind of getaway. 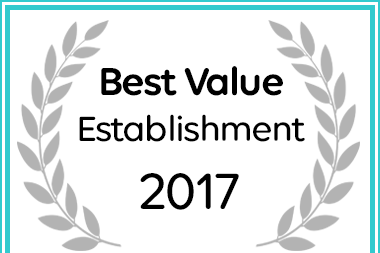 Kobo Kobo Hills has been named a Best Value Swakopmund Establishment. 8000 Hektar Natur: Africa zum wohlfühlen. Erleben sie bei uns Afrika im Einklang mit der Natur. Sie übernachten in rustikalen Häusern, die perfekt der Landschaft angepasst sind. Die unberührte Landschaft, in der nicht gejagt wird, nimmt vielem Wild die Scheue vor den Menschen. Unsere schmackhaften Gerichte bereiten wir für Sie auf offenem Feuer zu und servieren sie im Freien. Getränke bringen wir Ihnen gerne an den Swimmingpool, oder Sie geniessen Ihre drinks in unserer Bar mit dem herrlichen Panoramablick. Natürlich bieten wir Ihnen auch diverse Aktivitäten wie bergsteigen, Wildfahrten, Wanderungen sowie Abseiling, Joga retreats und Wellness Wochenenden an. Für Ihre Wünsche haben wir ein offenes Ohr und werden Sie wenn irgend möglich erfüllen. Kobo Kobo Hills has been selected for the Greenwood Guide to Namibia: B&Bs, guest-houses, lodges and self-catering cottages personally visited by the authors and chosen for their charm, character and for the exceptional friendliness of the owners.